Brace of two pound roach in Red Letter hour!!! The below report from Ben Smeeth has to be one of the most spectacular I have reported on since starting North Devon Angling News three years ago. Two pound plus roach are few and far between in Devon now and many would see the capture of one as the fish of lifetime. 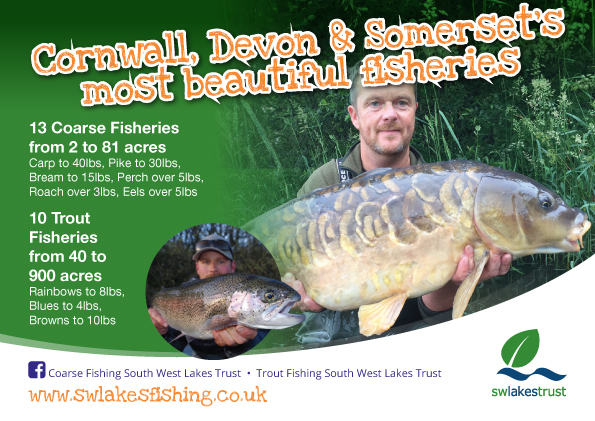 It makes you wonder what else this large body of water on the Devon boarder has to offer? 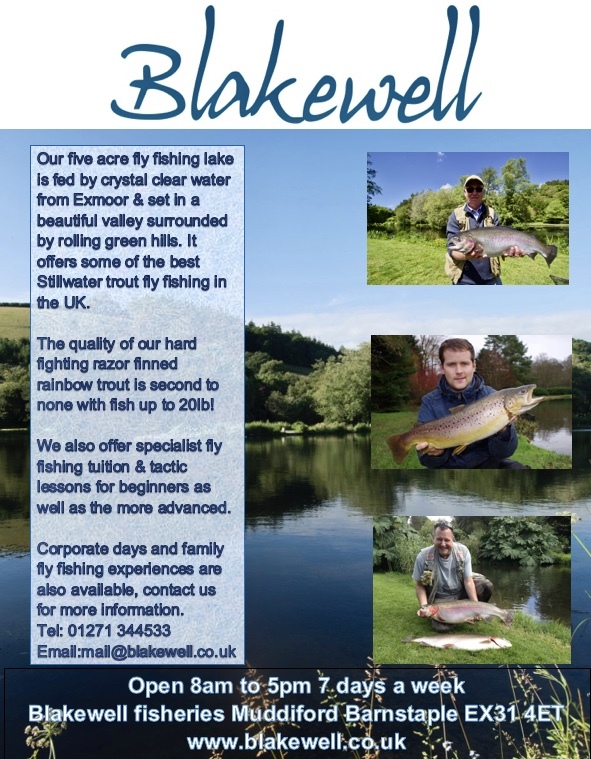 I believe he venue has the potential to produce a record perch, eel or even roach not mention those big brown trout. 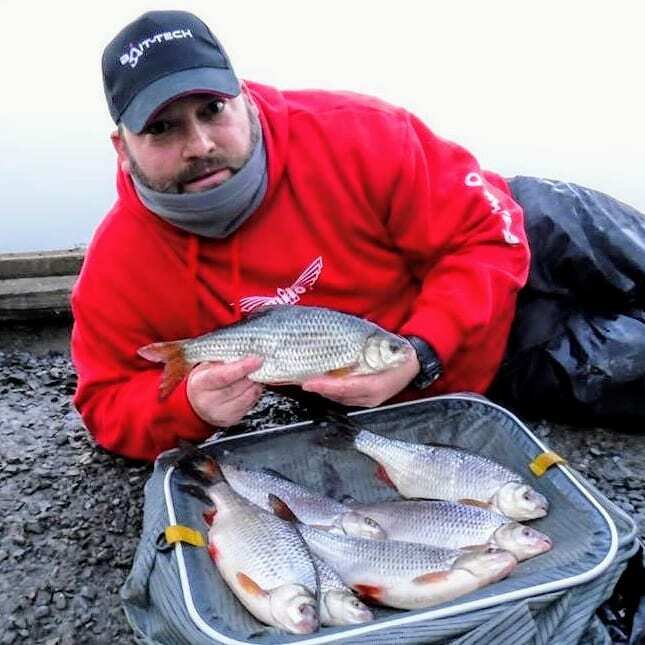 Red Letter “hour”……..Milo & Bait-Tech sponsored angler Simon Poynter pleasure fished Lower Tamar recently, using it as practice for up and coming feeder matches. “Lower Tamar Lake takes me back to my childhood, where the anticipation of the bite & what could be on the end, fills me with excitement and causes sleepless night’s before each visit” Simon added. 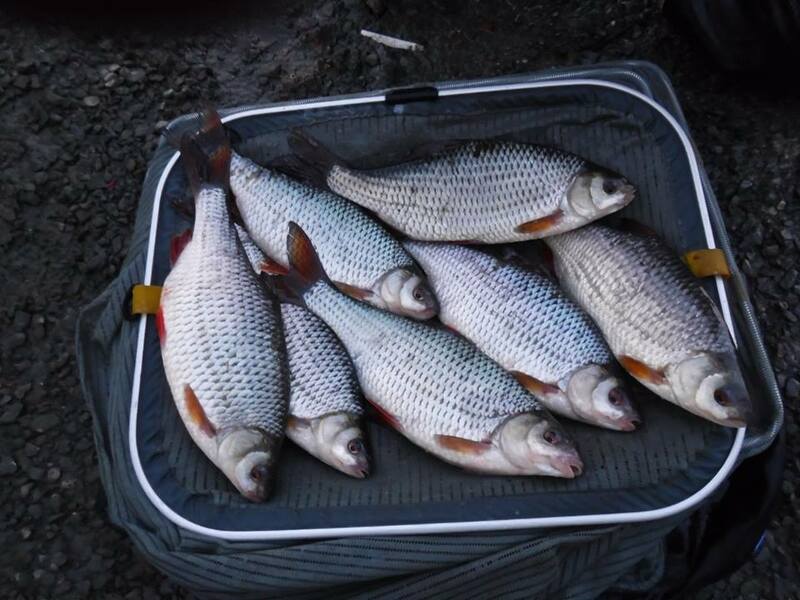 Simon fished a cage feeder at 72mtrs & a 60g window feeder at 92mtrs, targeting the lakes big bream. Groundbait of choice was the new Bait-tech Pro Natural Bream Dark…… lovely smell & great mix. Simon commented that as a match angler he feels that he does not approach Lower Tamar in the correct way for the specimen sized bream, feeling that most fish have gone nocturnal, possibly with a dawn and dusk approach being better than his usual 10am till 3pm sessions! After 3 hours Simon had one 2lb brown trout to show for his efforts, his travelling partner had two trout at this point. At 2pm Simon’s tip slammed around & after a very spirited fight he landed his first roach, it was a stunning fish of 2lb 3oz, “I could not believe it the size of it when it broke the surface” really chunky and scale perfect. This started a crazy 50 minutes with Simon catching seven fish in as many casts, one 3lb brown trout and six other roach between 1lb 7oz and 2lb 6oz graced his net….. the roach were beautiful, indeed four of the seven roach were over 2lb.Even though one of the lakes massive bream failed to put in an appearance, the roach were a catch of a lifetime, caught in lovely surroundings.